• £100 penalty and extended enquiry window if 2014 self-assessment tax returns not filed on or by 31 January 2015. • Payment of corporation tax liabilities for accounting periods ended 30 April 2014 for small/medium-sized companies not liable to pay by instalments. • Changes to the VAT treatment of supplies of fuel for private use. • P46(Car) for quarter ended 5 January 2015. • Due date for VAT returns and payment for 31 December 2014 quarter (electronic payment). Thomas Westcott is delighted to welcome Jon Mitchell who will be head of our new Business Recovery & Insolvency department. Although Jon will be based in our Exeter office he will be working with all our offices across Devon. He said: “I look forward to heading up the Business Recovery & Insolvency department within Thomas Westcott and working with my established colleagues to provide a rounded service to clients and contacts. As a Licenced Insolvency Practitioner, I am experienced in working with a variety of businesses and individuals throughout the South West and beyond. Auto Enrolment places new obligations on employers to provide employees with a work based pension scheme. Auto-enrolment will place a significant administrative burden on employers and put them at risk of significant penalties for failing to implement the scheme or for implementing it incorrectly. Thomas Westcott have produced a detailed guide to the new rules to help employers navigate this new challenge. CLICK HERE. Our Seaton branch of Thomas Westcott, have celebrated the 18th birthday of their Yorkshire Building Society agency with a week-long event. We marked the birthday of the agency opening and thanked customers for their loyalty during the event which ran for a week at the start of this month. “We’re really proud of the 18th birthday celebration of our partnership with Yorkshire Building Society and were pleased to mark the occasion with a special event for our valued customers,” said Stuart Carrington, partner. Our Holsworthy office has moved! We have a new office, our Holsworthy office has moved a few doors down the road to a sparkly, spacious new office. The Cabinet Office has issued a consultation on the audit and independent examination of charities. The consultation document looks at recommendations to increase the financial thresholds determining whether charity accounts must be audited or examined. It is said that the proposals would make up to 4,000 charities exempt from the “expensive” requirement for a full audit. There are 10 consultation questions and the deadline for responses is 27 January. The consultation includes whether the threshold for audit should increase from £500,000 to £1million or Total assets of £3.26m and income of £250,000 to Total Assets of £3.26m and income of £500,000. Click Here for more details. • Payment of corporation tax liabilities for accounting periods ended 31 March 2014 for small and medium-sized companies not liable to pay by instalments. • Due date for VAT returns and payment for 30 November 2014 quarter (electronic payment). • Forms CT61 to be submitted and tax paid for the quarter ended 31 December 2014. • Quarterly corporation tax instalment for large companies depending on accounting year end. • Pay PAYE, NIC, CIS and student loan liabilities for month ended 5 January 2015 if not paying electronically. • File monthly construction industry scheme return. • Payment of PAYE liability for quarter ended 5 January 2015 if average monthly liability is less than £1,500. • Submit supplementary Intrastat declarations for December 2014. • PAYE, NIC, CIS and student loan liabilities should have cleared into HMRC bank account. • Electronic filing date for 2013/14 personal, partnership and trust self-assessment (SA) tax returns. • Deadline for various claims. • Balance of 2013/14 SA liabilities is due. • Payment of first instalment of 2014/15 SA liabilities. • 2012/13 SA tax returns to be amended by this date. • Vulnerable person election by trustees where the effective date is during 2012/13 (form VPE1). • Election under TCGA 1992, s 169Q to disapply TCGA 1992, s 127 for reorganisations in 2012/13. • Election to opt out of pre-owned assets charge if this would first arise during 2013/14 (form IHT500). • Repayment claim for 2013/14 class 2 NICs if a small earnings election was possible. • Supplementary 2013/14 forms P35 to be filed and Liabilities paid if corrections required under IR35 rules. • Provision of final 2014/15 tax credit claims (assuming that estimates had been provided by 31 July 2014). We are delighted to announce the appointment of Paul Churchill who joined our advisory team at Thomas Westcott Chartered Financial Planners in August. Paul has been working in the sector since 1990 and has been a Financial Planner for the past 12 years; he is a member of the Personal Finance Society and the Chartered Insurance Institute and provides advice on wealth management, retirement planning and pension options. Paul said: “I am delighted to join a practice which is innovative and puts its clients first. People lead busy lives and need a financial planning service which is tailored to their needs”. Born and bred in Devon, Paul grew up in Tiverton before starting his professional life in Exeter. 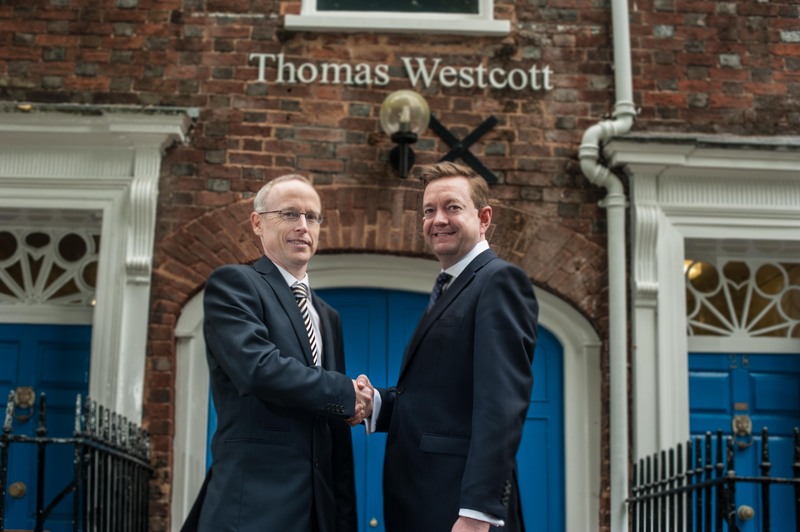 He then worked for a Somerset based Financial Planning firm before joining Thomas Westcott. Paul is a sports enthusiast, is married with two children and lives just outside Tiverton. The Autumn Statement will take place on 3 December 2014, George Osborne has announced. The Autumn Statement will provide an update on the government’s plan for the economy based on forecasts from the Office for Budget Responsibility. Thomas Westcott will be providing commentary on the key points that are likely to affect our clients after the Statement. We are delighted to announce that Thomas Westcott Chartered Financial Planners has been accredited as an ‘Investor in People’. The award recognises the strength of our team and the way in which they work together for the benefit of our clients. The team continues to grow with the addition of new staff to service the increasing number of clients seeking wealth management advice.